Laitila is known for the egg city of Finland. The egg production history dates back to 18th century. 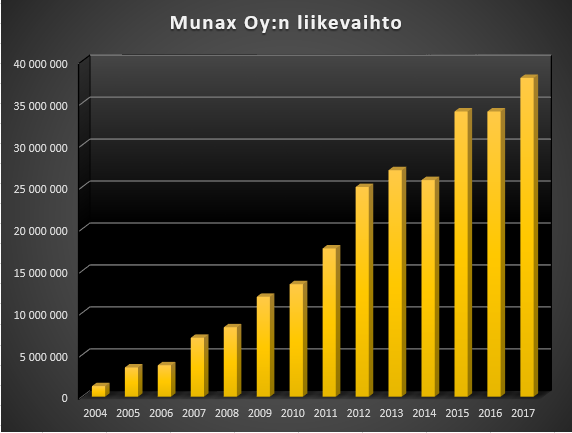 Oy Munax Ltd. was founded in 2003 by three farmers, Janne Torikka, Juha Venno and Hannu Majander, who’s families have a long history on egg production. Our roots being deep in the Finnish agriculture. We know what a well-cared, happy hen looks like on an functional premium farm. It all starts from harvesting the crops and feeding our girls only the highest quality grain with rich nutrients. Our Free Range and organic hens have access to outdoors and sunbathing. Our organic chicks live all organic lifestyle, and we are proud of our organic eggs. All of our eggs come from responsible Finnish family owned farms that meet the Munax’s standards. Today over 90 people are working at Munax Ltd. Eggs are delivered from over 50 contract producers. We offer our customers eggs and egg products all from same place. In Laitila we have the most modern egg breaking facility in Europe, where quality and food safety are everything. Our food defense program controls every detail from laying, packaging and processing before delivering the ready product for our customer. We are FSSC 22000 certified and rewarded with several domestic and international licenses. Finland is known for having the safest environment for food production. Our long winters, pure air and clean water assets keep the soil optimal for producing the best products. Expertice about the complete supply chain together with the optimal Finnish conditions allows us to proudly serve our customers with our food service solutions. Munax has also been rewarded with the Key Flag Symbol from the Association of Finnish Work to represent the origin and the quality of the products. The packing facility is located right by Highway 8, about 7 km from Laitila city towards the city of Rauma. Munax is easy to reach! Knowing the origin of the egg is extremely important. Since the quality of the eggs cannot be inspected just by looking at the eggs, we must know the whole production chain at its full length. In Munax Ltd. we know. Perfect tractability starts form harvesting the crops, feeding our hens only the highest quality grain, and making sure our farms are clean, functional and animal friendly. 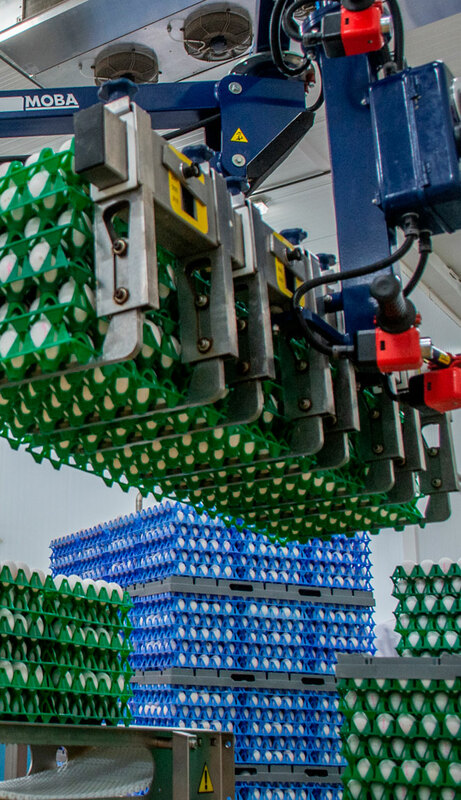 At our packing station, we inspect every egg with UV-disinfection, and control every detail of laying, packing, processing, and delivering to customer. We are FSSC 22000 certified company, and we can guarantee our customers best possible quality. High quality eggs taste different, because healthy chickens lay the best eggs. Our chickens are salmonella free, not treated with hormones or antibiotics, and their feed is GMO free. We produce organic eggs, free range eggs, barn eggs and enriched gage eggs products. All of our eggs comes from clean Finnish farms. We make the northernmost eggs.